After months of mass protests, Israel announced the beginning of a "smart fence" construction along the border last week. 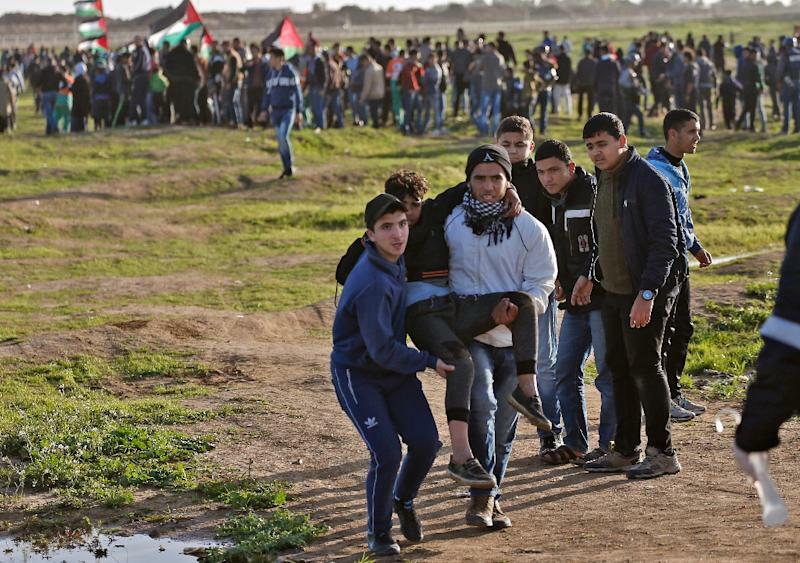 Israeli police said Saturday they arrested a Palestinian suspect in the killing of an Israeli teenager, as thousands of people in Gaza buried two Palestinian teenagers killed by Israeli fire a day earlier in protests along the perimeter fence. Since last March, the Israeli soldiers have shot and killed more than 250 Palestinians and wounded 26,000 others, majority injured by live ammunition, according to Gaza Health Ministry's figures. They have seen the death of about 190 Palestinians and an Israeli soldier. A military spokesperson said the demonstrators hurled rocks at Israeli troops and several explosive devices landed on the Gaza side of the fence. At that moment, the boy was struck in the head by a tear gas canister fired directly at protesters by Israeli forces. Palestinians have been holding protests every Friday since the end of last March, demanding the implementation of refugees' right of return to the lands from which they were expelled in 1948 during a violent ethnic cleansing campaign by Israel.